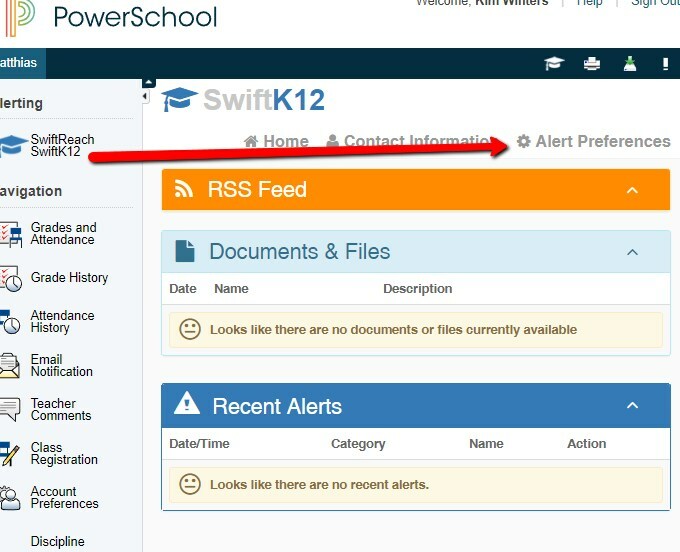 Families will be contacted about cancellations and given other vital info through a combination of voice, email, and text alerts from SwiftK12 using real-time contact information from our PowerSchool enrollment database. By default, the system includes every phone and email address in the database as a notification recipient. Families can change contact method preferences (i.e., remove a phone number and/or email from the recipient list) on their PowerSchool portal here. See screenshots below for what to look for after you log in. See a helpful video tutorial here.